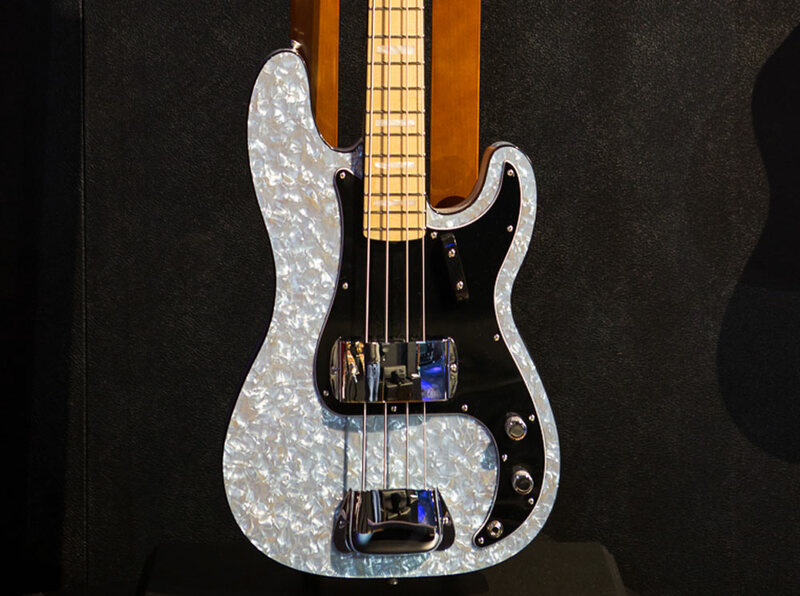 In a continuation of our features on the Fender Custom Shop Prestige Collection that debuted at the 2016 NAMM Show, we talked with Master Builders Dennis Galuzka and Scott Buehl about their masterpieces. This year, Galuzka opted to create what he’s calling a 66 Blue Moto P Bass, a tribute to the slab-bodied Fender Precision Bass with a striking blue finish. “This year, we experimented with some colors. Being that [the moto is] a celluloid base material, paint bindes right into it, no problem, so we were able to do some different colors,” Galuzka said. As for Buehl, his Long Jag is a unique instrument with the classic switch and preset plate of a Jaguar and a stretched pickguard. Learn more about these two Prestige Collection offerings in the clips below.